Dark Warriors Blog » Blog Archive » Warning!. 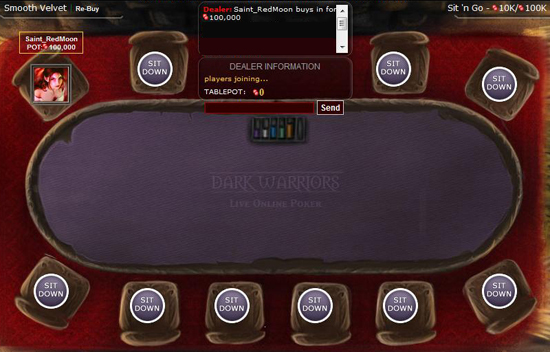 There is a noob at poker! This entry was posted on Wednesday, December 8th, 2010 at 14:31	and is filed under RedMoons Rants. You can follow any responses to this entry through the RSS 2.0 feed. You can leave a response, or trackback from your own site. Very nice blog! Its about time someone recognized the hidden world of DW poker! But as someone who is distracted by your avatar, I would not be so certain it does not work! Too awesome! Nice work and you’re right, I don’t see avatarn I see those numbers over one!